"I'd hope we'll have that finalized in the next week, two weeks tops,'' LeBlanc said. "The great news is these communities really want it. "We've kind of put a line in the sand,'' he said. "We want this thing either on its way or we've decided to pack up and go home by the end of June. "We feel now we can get this thing down closer to $130 million in a first phase that would be a very functional stadium just like BMO Field was when it opened,'' LeBlanc said. "Then we can look down the road and maybe get certain benchmarks for attendance. "Where there's been a bit of a delay is understanding the elements of a larger mixed-use development around the stadium,'' LeBlanc said. "That's critically important to HRM because their contribution is based on an increase in property taxes around the stadium that wouldn't there if the stadium wasn't there. A line in the sand? Trying to strong arm a city into building a stadium already lol . Halifax city council should tell this guy go ahead take a walk. Bullish imposing the appropriate words to describe this edition of Schooners group. Let them draw a line in the sand to a end of June deadline, pressure tactics never end well. Football in Atlantic Canada not happening, logistics say so. 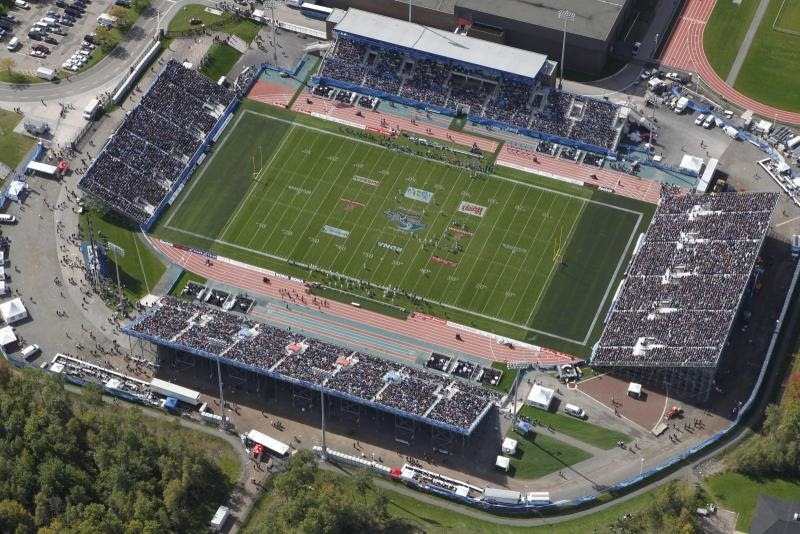 Having 10725 temporary seats in place for 2020 CFL season a major safety concern for any Insurance proprietor to start and should be for the league. Safety first, always. Too many variables in play for this pipedream. IT HAS BEEN SOUNDING LESS POSITIVE LATELY... BUT HERE'S HOPING THE SCHOONERS THING HAPPENS. WOULD LOVE TO BE THERE FOR THE FIRST GAME! I THINK IT EOJLD BE MUCH LIKE THE RIDERS... WHERE THEY WOULD SEE GREAT SUPPORT SINCE THEY ARE THE ONLY GAME IN TOWN. Thats wat I think. Could build the stadium in Phases. The home field side, similar like Ottawa. Could be where all the suites , Boxes , etc. Can be. Visitors sideline could be very basic. Just seating. Regular seats down low. & modern bleachers up behind. I know TSN & RDS (franco broadcast) have all the rights to CFL. However Quebecor is LOADED. new Arena In QC. & still no NHL TEAM.